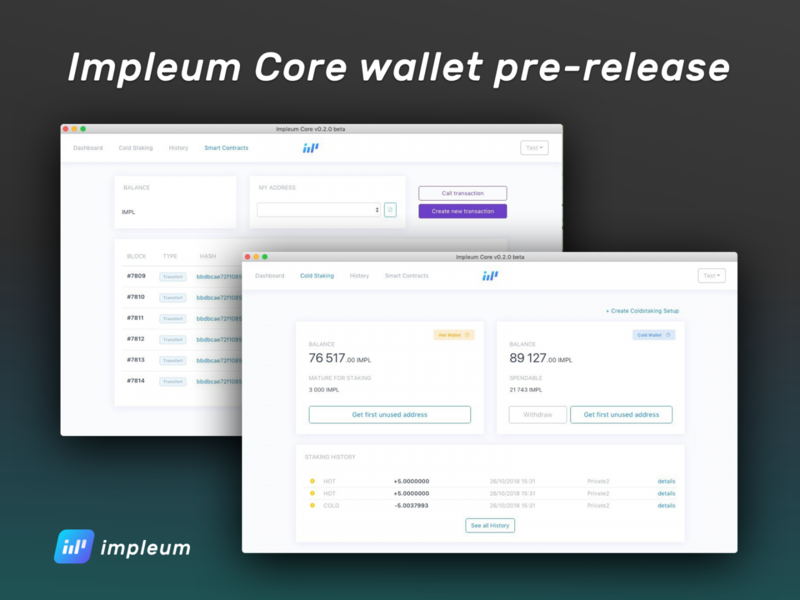 Impleum are proud to announce the pre-release of Impleum Core Wallet which based on C# Impleum Bitcoin Fullnode. As we promised (https://coinmarketcal.com/en/event/impleum-core-wallet-release), this week we have planned release of the Impleum Core Wallet. Our team tries to follow the planned path and roadmap. Our Team working with Smart Contracts and Cold Staking implementation in Fullnode and Core Wallet. Now it is working Prototype for testing UI and UX. Soon it will be available for public testing. 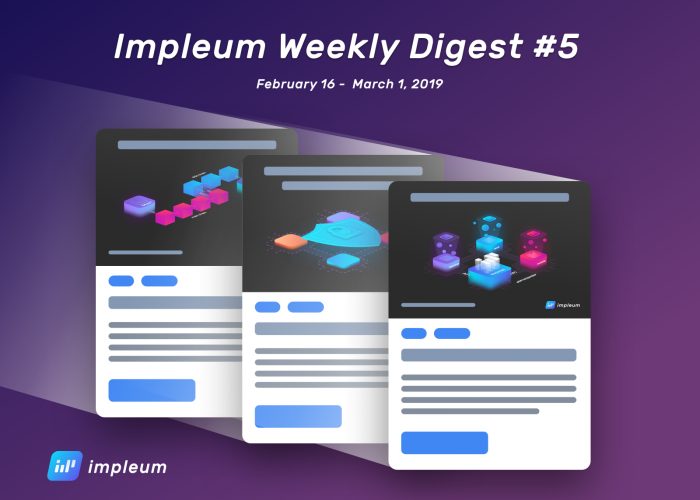 Smart contracts can now be deployed on the Impleum Full Node. Like the Full Node, Impleum smart contracts are written in C#. Smart contracts extend the functionality of a blockchain and allow it to map out complex financial interactions through the sending of funds and storage of data. The uses of smart contracts are not limited to financial interactions. You may already have heard of DApps (Decentralized Apps). A smart contract can also be thought of as a DApp because it is both an application and is decentralized. In fact, DApps consist of a web-based front-end that sits on top of a smart contract. A DApp is decentralized because of the properties of the smart contract; a copy of the DApp’s smart contract is stored on each node in the blockchain. Smart contracts can be invoked when a transaction is added to a blockchain and, according to how they are programmed, smart contracts can redistribute the funds sent in the transaction. In order to produce blocks on the Impleum network, a miner has to be online with a running node and have its wallet open. This is necessary because at each time slot, the miner is supposed to check whether 1 of its UTXOs is eligible to be used as a so-called coinstake kernel input and if so, it needs to use the private key associated with this UTXO in order to produce the coinstake transaction. We want to implement cold staking in a way that allows even inexperienced users to participate in the production of new blocks. Since all the logic is implemented on the node side and the wallet is only using interfaces provided by the node, it is sufficient to describe the flow from inexperienced users point of view. Advanced users can then easily use the underlying functionality of the node.